In approximately 50% of cases of bladder carcinoma, an associated predisposing factor can be established. The main factors are exposure to tobacco, arsenic (As) ore and aromatic compounds. Arsenic is a metalloid with a low average concentration in the earth’s crust, and one of the most dangerous substances for human health. 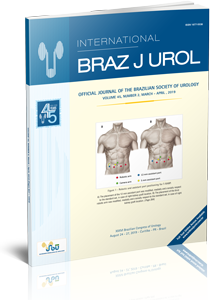 The present study aims to evaluate the incidence of hospitalization and mortality from bladder neoplasia and its possible association with As concentration in water and soil in two of the most critical regions of Brazil: the states of São Paulo and Minas Gerais. We have investigated bladder cancer hospitalization and mortality in the states of São Paulo and Minas Gerais during 2010-2014. Water and soil samples were analyzed and As concentrations were established. 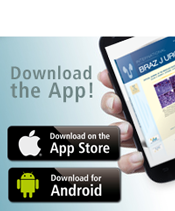 Data were obtained through the Department of Informatics of the Brazilian Unified Health System. Correlation was made with water samples from São Paulo and with data on soil analysis from Minas Gerais. The results revealed no direct association in the distinctive municipalities. Areas with high environmental As concentration had a low bladder cancer rate, while areas with normal as levels had similar cancer rates. The quantitative variables did not present a normal distribution (p < 0.05). In conclusion, we did not observe a correlation between as concentration in water or soil and bladder cancer’s hospitalization and mortality rates in the states of São Paulo and Minas Gerais.